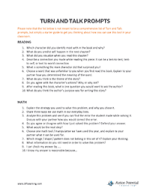 Instructor Performance Standards- use this document to guide you in selecting areas for growth and improvement based on teaching best practices. Use the general strategy section as a starting point to help you identify strategies you wish to develop and master. Math objectives for grade levels pk through 8, based on the Texas State standards (TEKS). Use this as a tracker, measuring and checking student mastery of each math standard over a period of time to ensure students are meeting grade level math requirements. 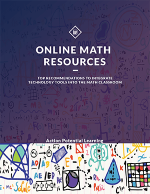 We highlight a number of helpful math resources to use in your classroom. 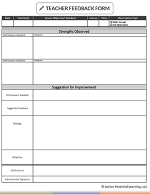 This form allows teachers to plan how they will structure independent reading time for individual students and plan a focus for the next day. 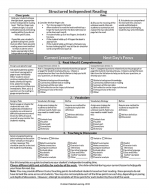 Teacher Observation Feedback Form- For administrators or other educators that support teachers. Complete this form after observing a teacher’s classroom to provide specific positive and improvement feedback to your teacher. Turn and Talk is a classroom strategy for all content areas and grade levels that will give your students an opportunity to engage in meaningful conversations with their peers. 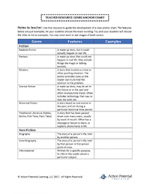 Use this resource for example prompts to implement the turn and talk method in your classroom.